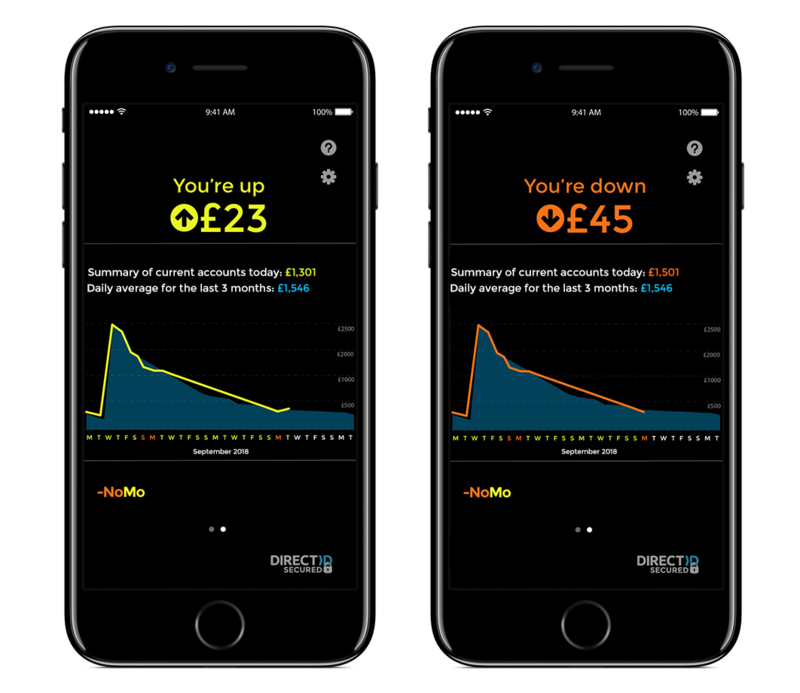 Edinburgh, Scotland: NoMo, the first mobile app that offers simple financial cashflow tracking has been launched by The ID Co. The app seeks to offer users an honest appraisal of income and outgoings, simply, and with a human touch. 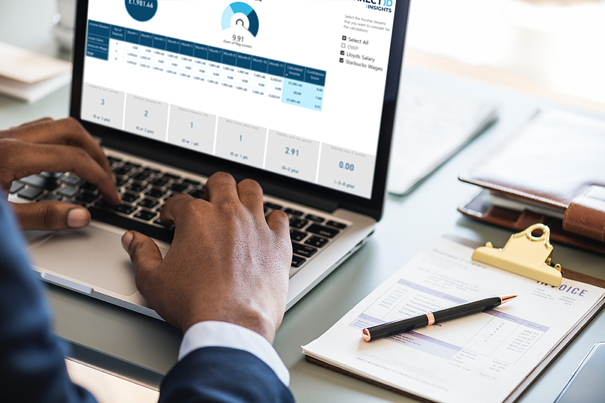 The app differentiates form other personal finance management (PFM) apps by bringing a healthy dose of personality, aligned with a clean and simple interface. 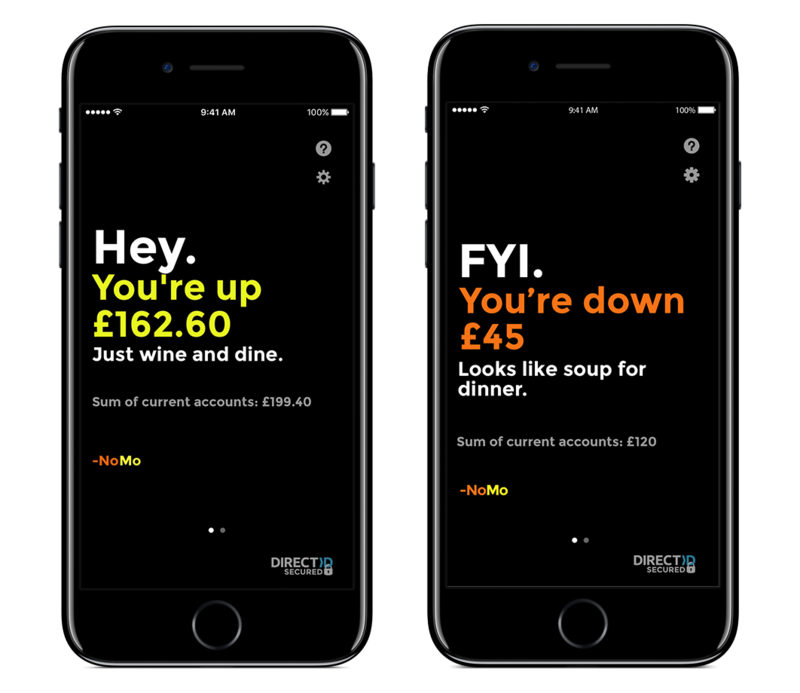 With 80% of young professionals stating that they find it difficult to judge their finances properly, NoMo aims to let users see if they are up or down in their finances by comparing their daily historic average of their current account against the current sum of funds. NoMo consists of 2 main screens: Snapshot and Summary. The snapshot provides a quick summary to show the user how much they are up or down with the aid of personal messages from NoMo. The messages can be controlled in the settings by altering the personality slider for NoMo. The summary provides a visual representation of the user’s budgeting performance over the month. The days of the month in orange represent the days the user has been down. Those in yellow represent the days the user has been up. The days in white are the days that the user has been on their average. NoMo works as a standalone app or alongside other PFMs in the market such as Yolt, Money Dashboard and Chip. 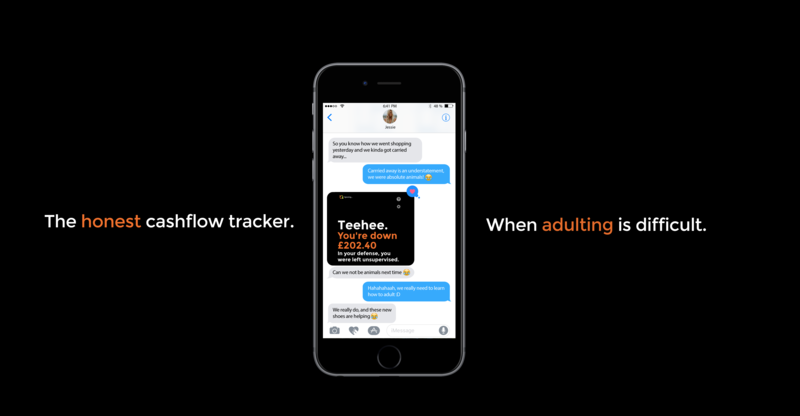 Its goal is to remove the stigma around day to day spending habits, make it easier for users to discuss their finances openly and feel more comfortable in their finances, good or bad. NoMo offers a guiding hand to help users get back in the right mindset. NoMo aims to ensure the next generation of professionals have a healthy outlook on their finances and feel good about spending where they can. NoMo has been launched to complement the offering already offered by The ID Co., which includes the B2B platform, DirectID. 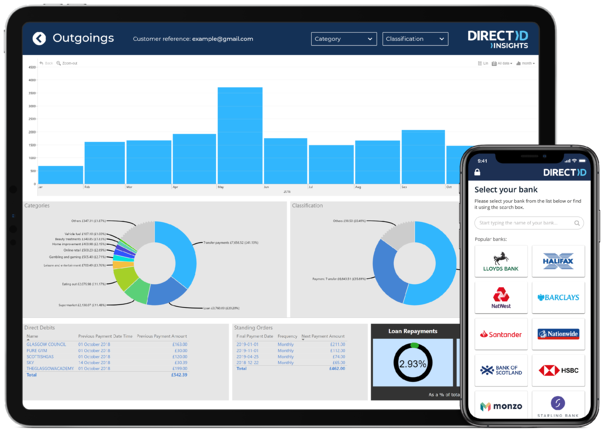 DirectID supports, 5,500 banks globally, in 32 countries, and in August integrated with Clydesdale and Yorkshire Bank (CYBG) to allow CYBG customers to see view accounts with other banks within their “B” App. NoMo is available now on iOS with a scheduled release date in Android of December 2018. 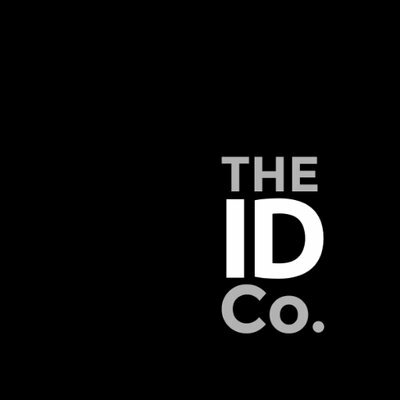 The ID Co. (theidco.com) helps businesses like lenders to onboard their customers by removing friction caused during the application process by the current challenges of risk, compliance, fraud, and regulation. 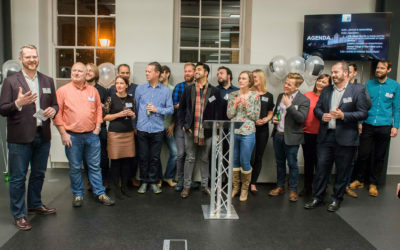 A global Scotland-based FinTech, The ID Co. has been pioneering the use of bank data and Open Banking since 2011 and is an active participant in the UK Open Banking initiative and a founding member of FDATA, Innovate Finance, and Open Banking Excellence. Blog published Oct 02, 2018 - Written by The ID Co.